Black Lys. Plasma. Rakar. The Mysterious Archer. The Dark Flyer. Together they form Hexagon, the world's most powerful team of superheroes! But since the death of their leader Jeff Sullivan, the Man of Brass, they have gone from failure to failure - the mystical bond that united them is broken, their single sense of purpose seems to have disappeared. 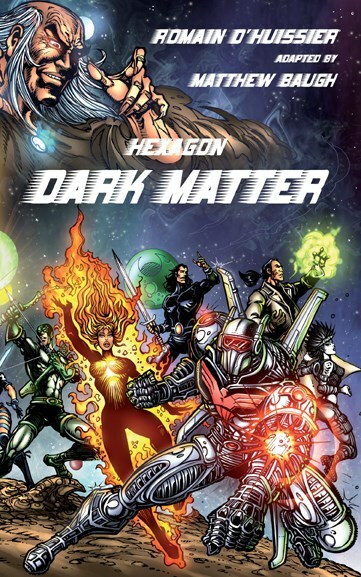 When a mysterious enemy emerges from the depths of time, determined to destroy them, Hexagon must find a replacement for Jeff who can restore their balance, but will this new member also spell their doom?